On Monday and Tuesday this week I was lucky enough to be part of the GRDC and AgCommunicators Seed to Store Tour around SA. Seed to Store is a video competition that is run by the GRDC where entrants are asked to make a simple 1 minute video that showcases the grains industry and tells the story of the seed getting from the paddock to the store. As part of the process the GRDC asks a specialist group of people to promote the event, the grains industry and the great opportunities the industry provides as well as create a buzz around the competition. The winners of each category are shown at the Royal Adelaide Show and win themselves a cheeky $1000! My 1,863km journey began in Hay where I live. On my 7 hour drive to Adelaide I had time to ponder on the week ahead. Would the kids be excited? Would we be able to deliver some good messages? Would I forget what I was meant to say in my talk? How much are these kids even going to care about grains? Would the schools truly be happy to have us there? Monday morning the lovely Sarah McDonnell picked me up and we began our way to our first school, St Francis De Sales in Mt Barker. We met the third member of our team there, the iconic Andrew “Cosi” Costello who presents a show called “South Aussie with Cosi” on Channel 9. This school was amazing; we were greeted by a sea of some 120 year 6 and 7’s who were all eager to hear about grains, show off their new horticulture building but most of all excited to meet Cosi! Did you know that there are 50,000 edible plants in the world that we know of, yet 60% of our diets are made up of wheat, rice and corn? We spent about an hour at each of the schools talking about grains and our involvement in the different areas of Agriculture. Cosi had studied as Roseworthy, like myself, but had worked in the livestock industry. He now runs a charity in Cambodia called Cows for Cambodia that is focused on helping to break the poverty cycle as well as teaching Cambodians about farming practises. Sarah was a food scientist before moving into education, focused on primarily Agriculture and I am an agronomist, so it was my job to explain a bit about what goes into growing grains. Other than having to endure us talking we also played a few games such as can you guess the grain and can you match the grain to the food it becomes? Did you know that Barley is in Mars Bars? From here we headed to Unity Collage in Murray Bridge in the Cosi Car. Once again the excitement of having Cosi visit the school became apparent quickly. It was also here that I learnt that Cosi was quite hilarious as he retold of his stories of struggles at high school with having a police officer as a father. After a quick lesson on “how not to pick up chicks” we chatted about grains, careers and tested everyone’s knowledge. The final school for day one was Keith Area School, and after a bit of a delay we got there about 45 minutes before the end of day bell. I thought this could be interesting, right before home time all these guys are going to want to do is get out of here but they were great fun! They were very interactive and attentive and an absolute laugh. Cosi was grilled about what they needed to do to win the big bucks with their videos. After staying the night in Keith we headed to the Area School at Coomandook. We had nearly half the school come to listen, and what a way to start the day. Everyone was highly entertained by Sarah story about “sensory analysis”, or taste testing to you and me, and how her love of Arnott’s chocolate biscuits had driven her to date a guy who worked there! The questions were fired thick and fast at the end of the session about grains as well as careers. From here we headed to Birdwood High School in the Adelaide Hills. It was quite a long drive and Cosi couldn’t resist a snack on the way…and what is better than one that he promotes! The final school of the day was Birdwood High where we managed to get a whole range of students from year 8 to year 12. We got to the school right before the end of lunch bell. Our first port of call was the Ag Block where we got to cuddle some orphaned lambs. Once in the hall with everyone they were really involved which was awesome, and as a special treat I got to see my cousin who goes to school there. We all said our goodbyes and I was on my way home again. On my 7 hour drive home I once again got time to reflect on the couple of days that had just been and all the laughs and things I had learnt. I learnt that the kids in a lot of these schools are genuinely interested to find out where their food comes from and their teachers genuinely want to teach them that. I learnt that, once I got over my nerves and worry about forgetting what I had to say, interacting with students like this is very rewarding. And I leant the Seed to Store competition is a great opportunity and incentive for students, and community alike to learn about and showcase grains and pick up a lazy $1000! Most importantly I learnt that it is important for people like myself to go and showcase the good news stories and highlight the positives of the industry because for a lot of these kids it is probably something they have ever thought of looking at as a career, and to show them there is a lot more to agriculture then being a farmer. And this guy won himself $1000, that’s a lot of chocolate! Thanks to Belinda from the GRDC and Lynne from Young Farming Champions for this amazing opportunity and to Sarah and Cosi for the laughs and memories and I can’t wait to (hopefully) do it all again next year! Today’s guest blog post comes from Deanna Johnston who is very proud to be a rookie farmer. If day care consists of riding shotgun with Dad in the tractor when sowing and harvesting; sleeping in the tender wool bin during shearing time then this has been the best start to my rural career. Hi I’m Deanna Johnston and I’m a rookie farmer. I had already started shearing, doing the long-blow on our Coolalee rams before I was going to primary school. My Dad worked as a shearing contractor before settling back down to the farm which gave him invaluable insights as to how other farmers run successful farm. Dad had always had an interest in sheep, especially Merinos and he began to get more serious about the sheep enterprise on the farm in the year 2000. 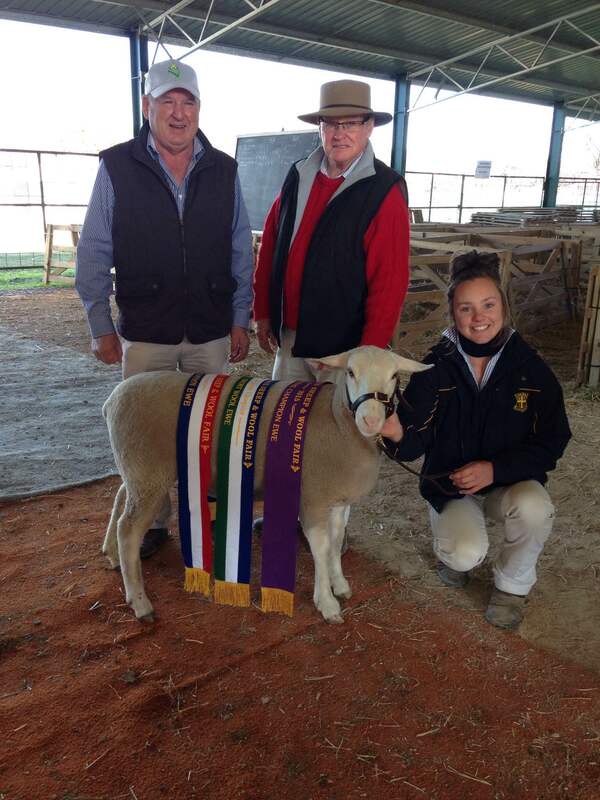 We turned to the SRS strain of Merinos and started breeding for a purpose – dual purpose merinos. Currently we are experiencing an extended dry period and are grazing 2000 breeder ewes with another 800 little mouths in the feedlot. 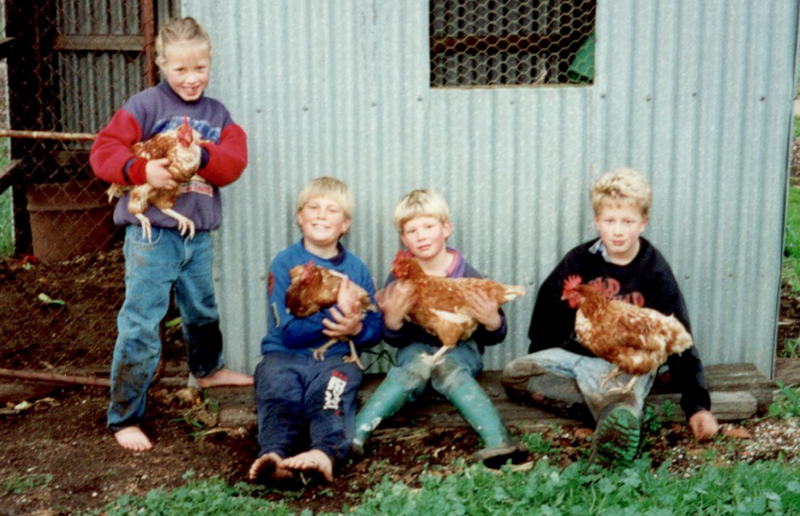 After primary school the next step for me to broaden my knowledge and an early start to my career calling to the agricultural industry was to attend Yanco Agricultural High School. Right from year seven I was part of the sheep show team in which I was able to become part of the McCaughey White Suffolk stud where we started to implement Artificial Insemination and Embryo Transfer into the breeding program. Completing my Certificate IV in Woolclassing and Certificate II in Shearing by the age of 16 proved to me that this was the industry I wanted to be part of. Since then, shearing competitions and wool handling competitions have become my weekend hobby. 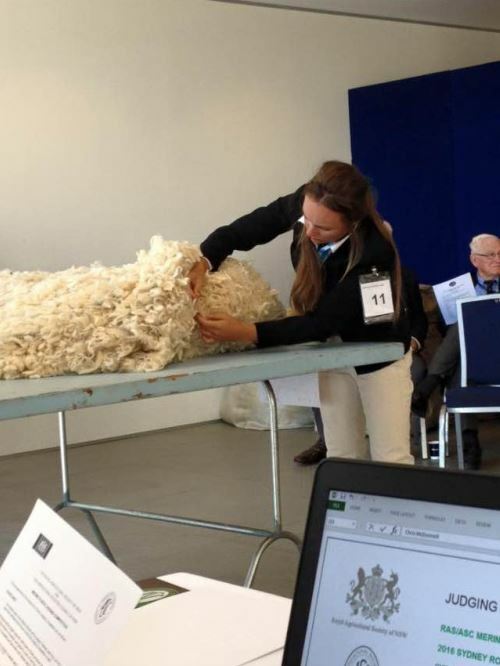 In March this year I came out in fourth position in the State Final Fleece judging competition in Sydney. 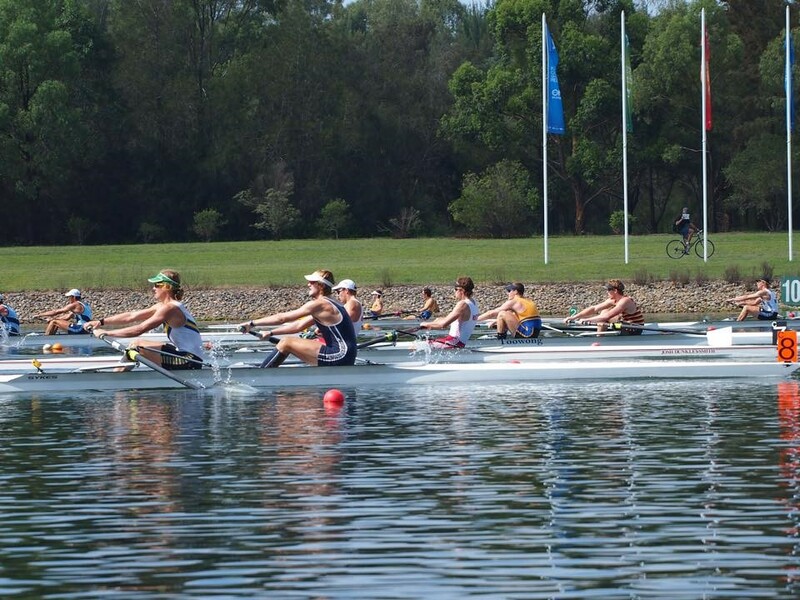 These competitions are great for refining the skills that are taught in TAFE Certificates. An added bonus is you meet other young people with the same passion for the wool and sheep industry. 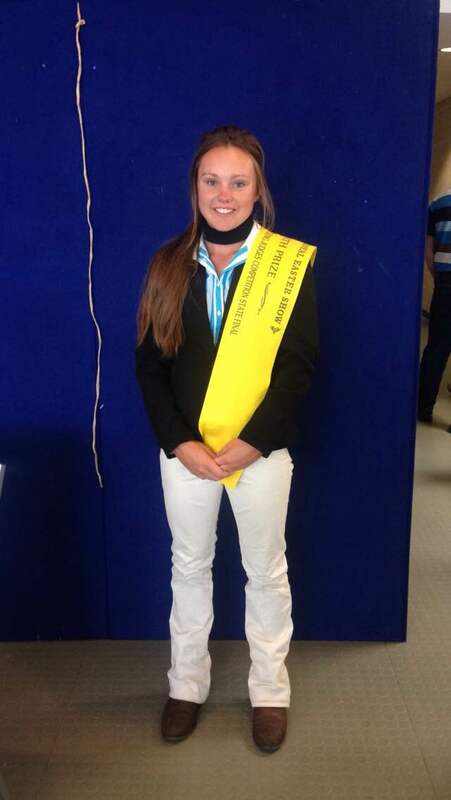 In 2014 I was runner up the National Young Guns competition at LambEX in Adelaide which over 1000 people attended. This competition involves writing an essay on the topic: “attracting young people into the prime lamb industry” and creating a poster to go with it. When in Adelaide I had to speak on my topic, answers questions posed by the judges who also adjudicated on the essay, poster and speech component. This was an incredible experience for me as I met many industry leaders, local and overseas producers and scientists and academics who all had the same passion: the future of agriculture in Australia and the the world. The PETA campaign against the shearing industry was released while I was attending the LambEX conference. It hit me hard as I was very disappointed that industry my family was part of was being portrayed in this negative light This made me even more determined to share the positive stories far and wide about the wool industry I love and the farmers I know who care deeply about their animals. Having been lucky enough to have grown up surrounded by the sheep and wool industry I know it has a lot of offer. 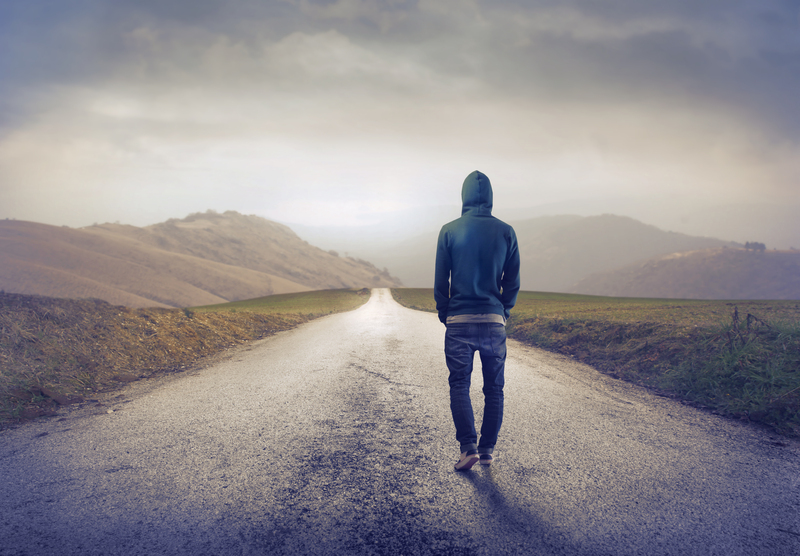 I want to share this message with other young people who haven’t had the same opportunities. 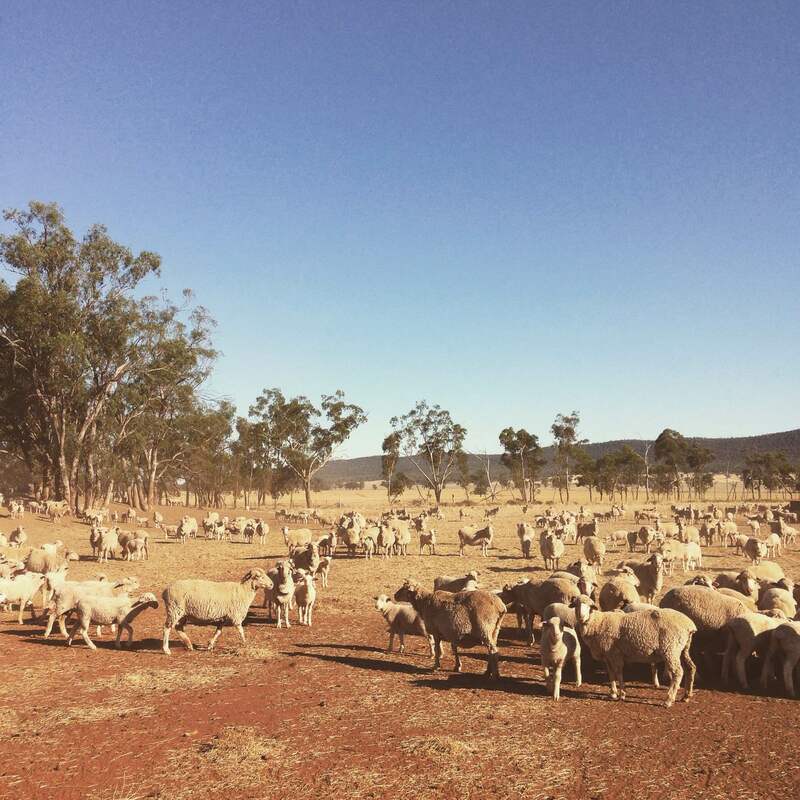 The Australian wool industry provides thousands of jobs both in Australia and overseas. No matter where your interests lie, the wool industry has a career path suited to you. 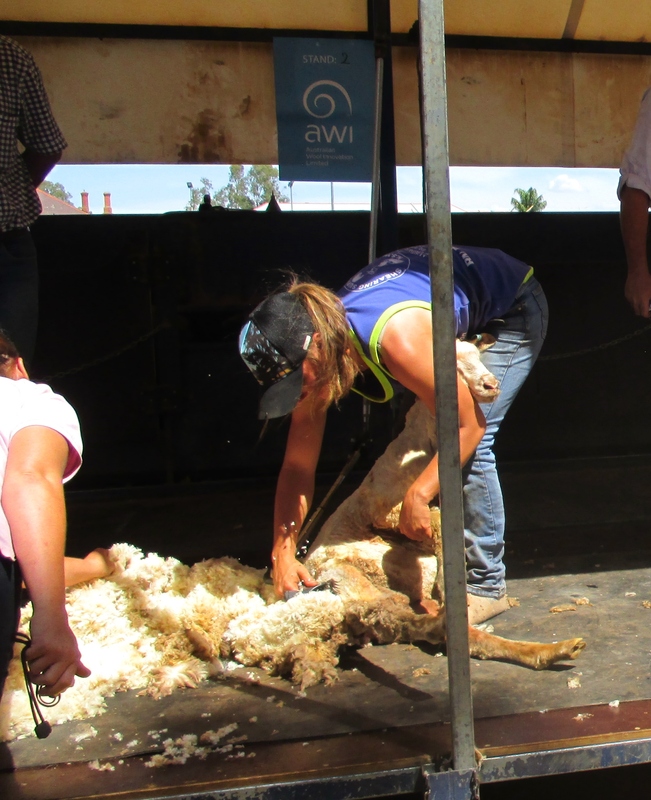 Careers in the wool industry can be divided into two main areas — on-farm and off-farm. 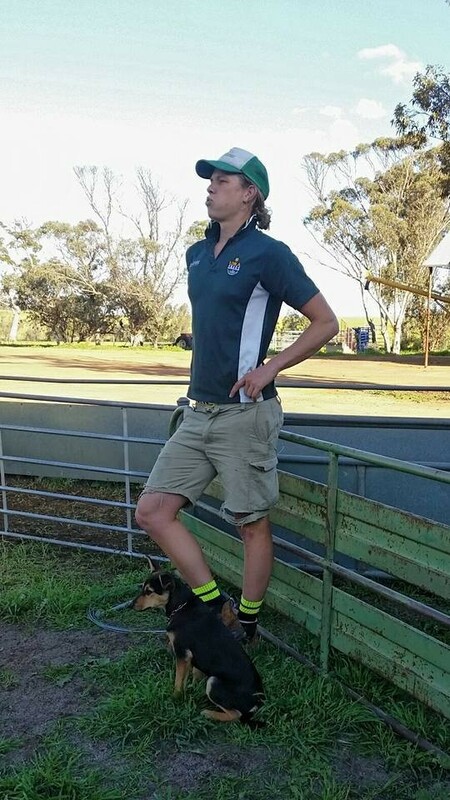 By attracting young people into the sheep and wool industry, it will only grow and become more successful, not only focusing on the producing side but through the whole chain from paddock to plate and in this case clothing. With the end of my HSC year nearing I have been fortunate enough at my age to have to have met some amazing industry professionals including Dr. Jim Watt and Errol Brumpton (OAM). When I finish school my ambitions are to study a double degree in Agriculture and Business at the University of New England in Armidale with the prospects that I will come back on the farm and take over the sheep enterprise (I haven’t told Dad yet I might tell him about this a bit later). So how I spent day care wasn’t so bad at all as it left me with a great passion and a dream. Being in this agricultural industry is where I want to stay as the world is going to become more reliant on what the industry can offer. The future is exciting and I am lucky I will be a part of it along with many other young and enthusiastic people. My name is Sharna Holman, a born and bred Sydneysider and since I could remember I have had a love of animals, being outside and working with others. However these days while a lot of that is the same, home is in Emerald, Central Queensland and I work in agriculture loving everything it has to offer. But the real question is how did a Sydney girl end up in Central Queensland working in the cotton industry? Over four years ago I spoke to and wrote a blog titled Sydney Show a Career Maker for Lynne Strong about how influential the Sydney Royal Easter Show and agricultural shows can be on young people thinking of becoming involved in the agricultural industry. I was extremely fortunate in attending Muirfield High School, in Sydney’s north-west, which had a farm where my passion for agriculture was quickly sparked. 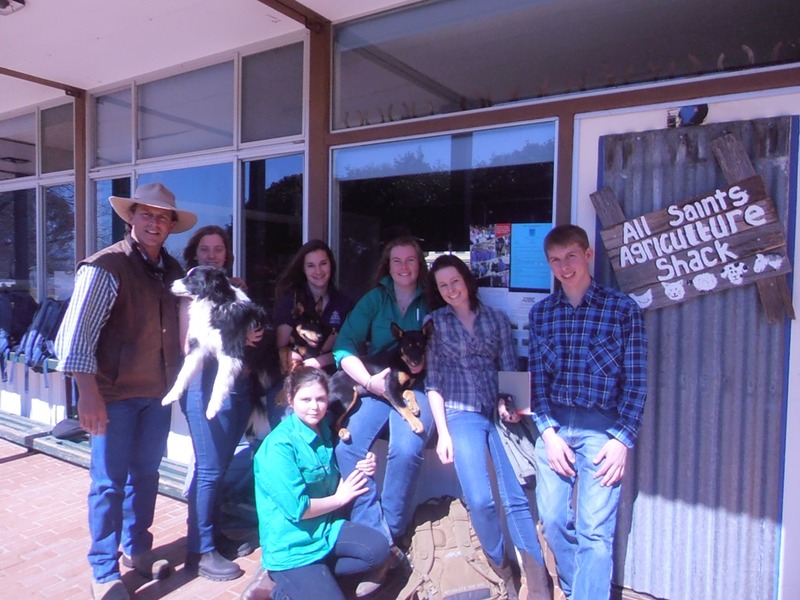 Students had the opportunity to participate in competitions at agricultural shows as well as being involved in Art4Agriculture’s own The Archibull Prize program. It’s these opportunities that encourage students like myself, particularly those who don’t come from agricultural backgrounds, to find out more about the industry and the different career paths available. Muirfield High School’s Archie on display in the Food Farm in 2011. 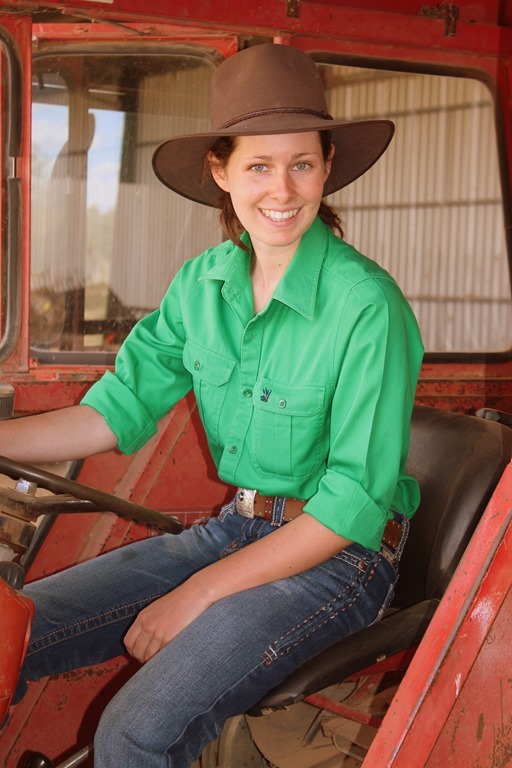 At the end of school, I definitely knew I wanted to be involved in agriculture so began studying a Bachelor of Science in Agriculture at the University of Sydney because of the diverse subject options and professional development available. I went into the degree not being exactly sure what I wanted to do but throughout the four years I went through so many options: geneticists, agricultural marketing and communications, researcher, agricultural teacher, agronomist? Whatever I was learning during the semester I loved and wanted to learn more. Throughout my degree I grabbed as many opportunities as possible that helped me learn more about the agricultural industry and interests within the industry. The University of Sydney team coming 2nd place at the Grain Growers National Universities Crop Judging Competition in 2015. In 2014 I was awarded a Cotton Australia scholarship, having the opportunity to attend the 17th Australian Cotton Conference on the Gold Coast. I left the conference having learnt about Cry proteins toxins used in plant breeding, pickers, fibre quality, marketing Australian cotton as an ethically and sustainably produced fibre and so much more, as well as having had the chance to network and learn from the experience of growers, researchers, and people who work in the industry in many capacities. A really good question would be, ‘Sharna, cotton? Have you ever seen a cotton plant before going to the cotton conference?’ and the answer would be a definite no, but did I want to learn more, yes! It was through networking with researchers at this conference that I organised my honours project investigating the development of tolerance to toxin in Helicoverpa moths, one of the main pests in the cotton industry, with the assistance of a CRDC Summer Scholarship. 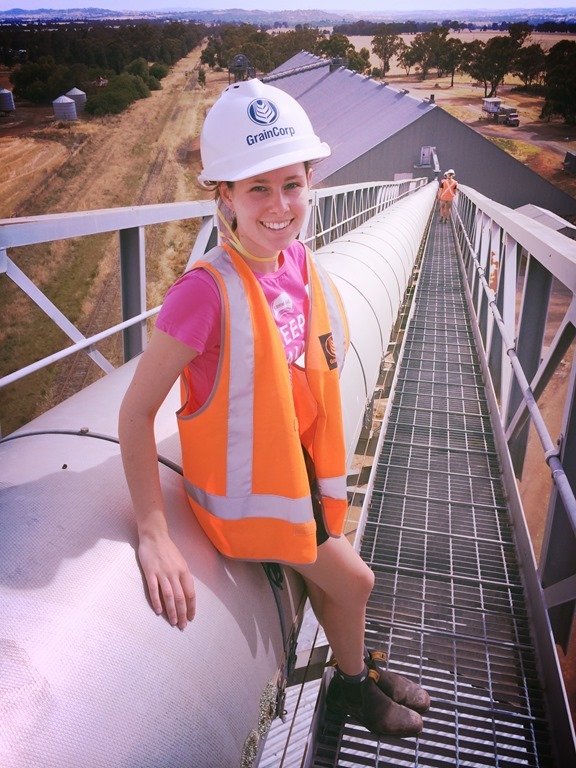 So in the Summer of 2014 – 2015 I moved to Narrabri and began working on my honours project at the Australian Cotton Research Institute. It was here that I learnt so much more about the cotton industry, agronomy and pest management through having the chance to spend time with researchers and assist with trials. I finished university knowing that I would love the chance to work and be further involved in the cotton industry. Early this year I was fortunate in getting a job I love, in an industry I love and made the 16 hour journey from Sydney to Central Queensland. I work in the cotton industry as an Extension Officer working with growers helping them connect to research to improve their productivity and profitability, while also having a role in CottonInfo, the cotton industry’s extension program, as Technical Specialist for Disease, Ratoon and Volunteer Management. Even though I have only been working in my role for a short period time, I absolutely love the feeling of waking up to a job I love. I assist with research trials occurring around Central Queensland. This trial is exploring the different planting windows growers have the opportunity to plant in with the release of Bollgard III in the 2016 – 2017 season. I get to meet, work with a variety of different growers and people. I don’t have a ‘normal’ working day. Some days I will be in a field working on a trial, other days I might be in a meeting, or you could find me at my desk analysing results or writing up an article on crop protection for growers. Some days I even get to have an awesome view from the picker. I am so lucky to be involved in an industry where the growers, researchers and industry members are incredibly innovative and passionate. The cotton industry is constantly trying to look for new ways to be sustainable and efficient while remaining productive throughout the entire production chain. Everyday I look forward to helping growers find and obtain information through resources, trial results and workshops. I believe anyone can find a role they would love within the agricultural industry, whether that be within research, business, marketing, farm management, mechanics and robotics – there are so many different career paths. However for someone without an agricultural background, often agriculture is misunderstood and people only see the surface. Opportunities like participating in events ( or volunteering) at agricultural shows and the Art4Agriculture’s Archibull Prize program allow you to get a hands on view and see the exciting agriculture sector I see with boundless cutting edge career opportunities. 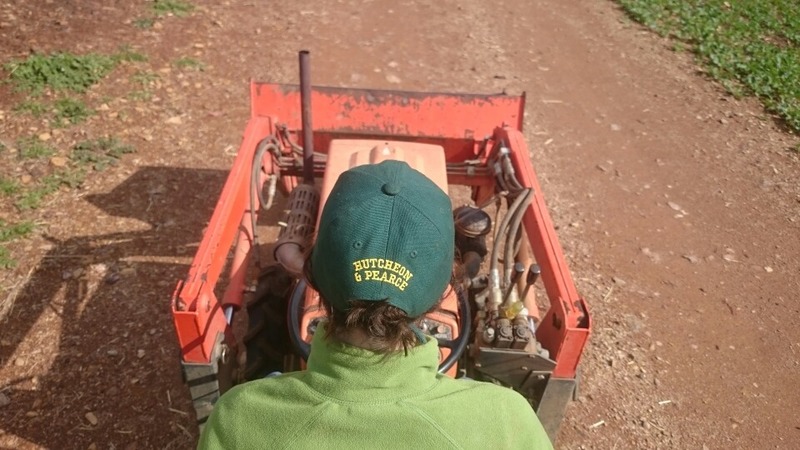 The bush is in Hugh Burrell’s blood and farming has been his calling since the day dot. 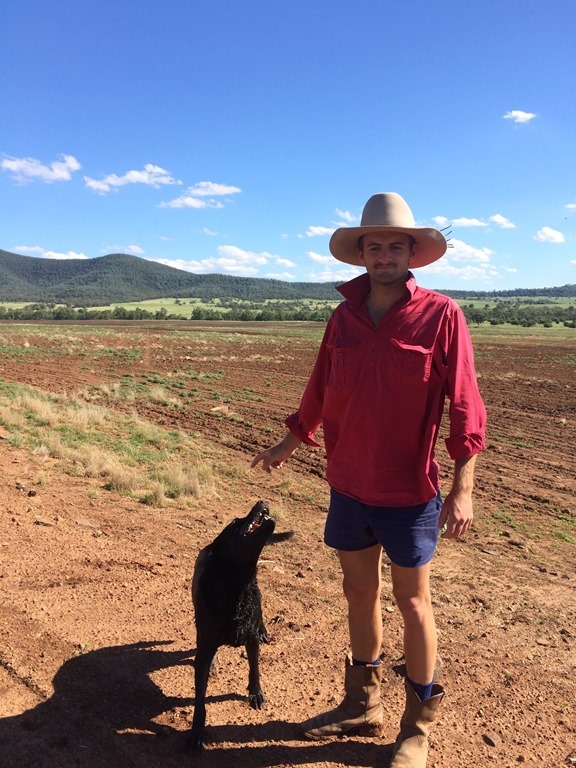 He’s a 4th generation farmer, a 4th year Agricultural Science student and a proud product of Narrabri, NSW. 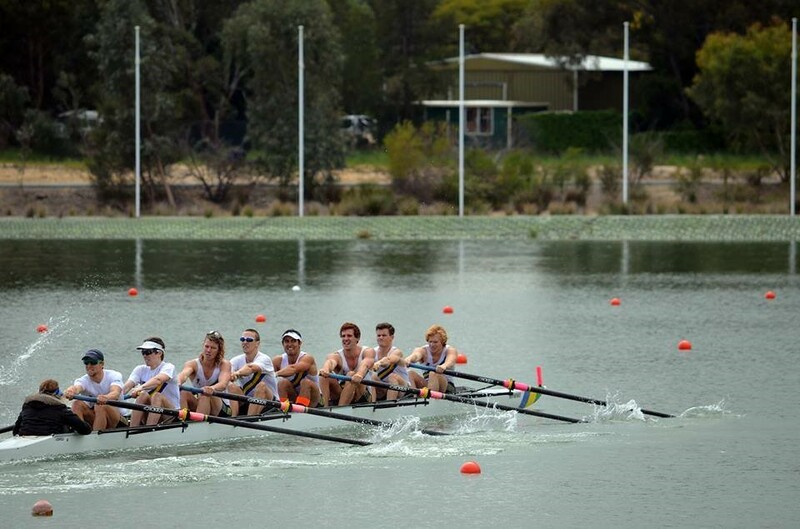 At boarding school in Sydney, Hugh was known for enthralling his boarding house mates with his wild and entertaining “Yarns from the Farm”… perhaps little has changed, because today’s guest blog is a great read! 2390: numbers I will never forget. Now that you know all my passwords I’d better let you know who I am. I’m Hugh Burrell, a 4th generation born farmer from Narrabri, NSW. My father is a farmer, my grandfather was a farmer and my great grandfather was a farmer. I am the youngest born of my family, with an older brother and sister. We were all raised on our family property “Woodlands” north east of Narrabri, nestled in the foothills of the Nandewar ranges. Being a family farm spanning many generations we have been involved in a variety of operations from pigs, chooks, sheep, cattle, grains, cotton, to canola and dogs. However my fondest memories come from our days as mixed cropping and cattle producers. 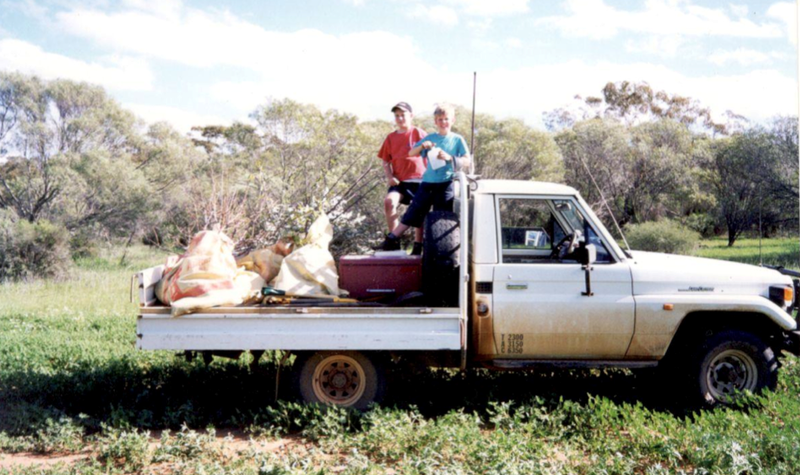 These formative years of my life spent trailing, with poddy calf in tow, my grandfather, father and brother around the rich basalt soils checking for weeds in the wheat and pulling out black oats to feed to my poddy lambs at home, are some memories that I still reminisce about today. With my father and grandfather at the helm of the business when I was growing up, we began a more intensive winter cropping regime. We went from running merino sheep for wool and fattening lambs on oats to a full blown wheat and barley operation. The days spent with “Grampa” on the old Chamberlain tractor pushing up rocks to clear the way for Dad to come through and plant wheat are fresh in my memory. Growing up meant extra work for me, as I grew into my gangly frame I was more useful with jobs like fencing and weed chipping, which my father knew and used to his advantage. However, something he came to learn was that I loved this work, hands on learning, out in the open, and providing something for the world to eat. Heading off to Narrabri Public School saw this idea of working outside flourish, where my teacher was often heard calling, “Hugh, what are you doing out here?” to which I would show her the perfectly cultivated rows of the sandpit and reply, “Just farming.” This became a more frequent response as the years went on and this “just farming” idea became a driving force. We began leasing a property on the other side of town to our farm, so during the week Grampa would pick me up from school and we’d head out to check the sorghum, wheat, and mungbeans we grew out there. During the summer we would take turns scaring the birds off the ripe sorghum heads while recounting our day to each other, being a quite kid I just listened to the stories. This seemingly endless time spent driving around the crops, refilling the tractor, checking for weeds and talking to each other was the foundation of my passion for farming. The nature of a family farm is essential to agriculture throughout the world; the care that is taken with each step and the knowledge that can be transferred between generations is a vital part of our industry. Moving along at school, I studied Biology and Business Studies in the hope of pursuing a career on our family farm, continuing my forefather’s tradition. However, with some succession decisions still in the pipeline and my dream of heading home to “Woodlands” stalled for the time being, I knew uni would be a great opportunity. I ended up at Sydney University enrolled in Agricultural Science, which has been a great experience for me, instilling a respect for research and its part in agriculture, particularly in Australia. 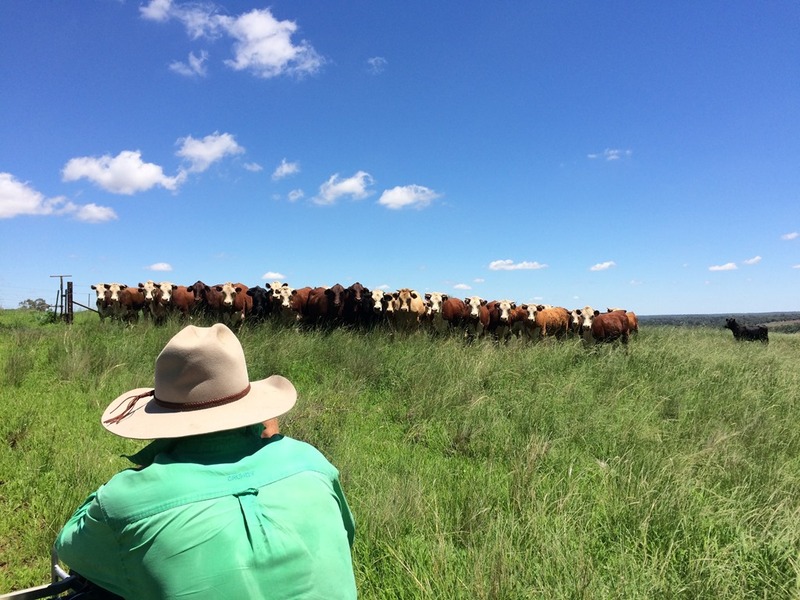 Throughout my degree I have been lucky enough to be involved in various field trips around NSW, learning from others in the industry about how they apply science to their farms and businesses. This has really nailed down the point of agricultural research, which I am dedicated to use in my career in agriculture. In my third year of study I was involved in the Developing Agriculture in Developing Countries unit which involved a three week trip through Laos, South East Asia. We were able to meet with multinational companies, non-government organizations and government bodies to talk about the impact that agricultural development has on a developing a country. 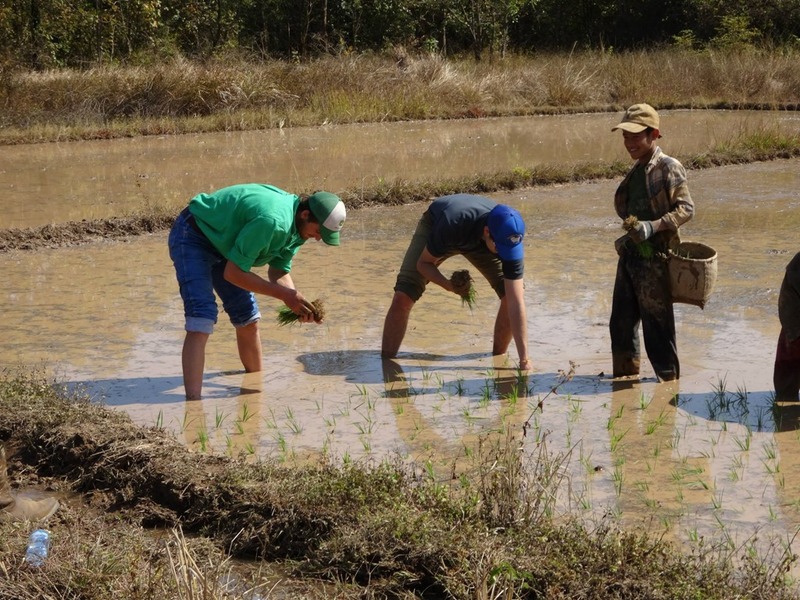 This was an amazing experience, from planting rice with the locals to hiking through the rugged limestone cliffs; it was a true example that agriculture can take you anywhere. I am now in my 4th year of study with a focus on agronomy and precision agriculture. 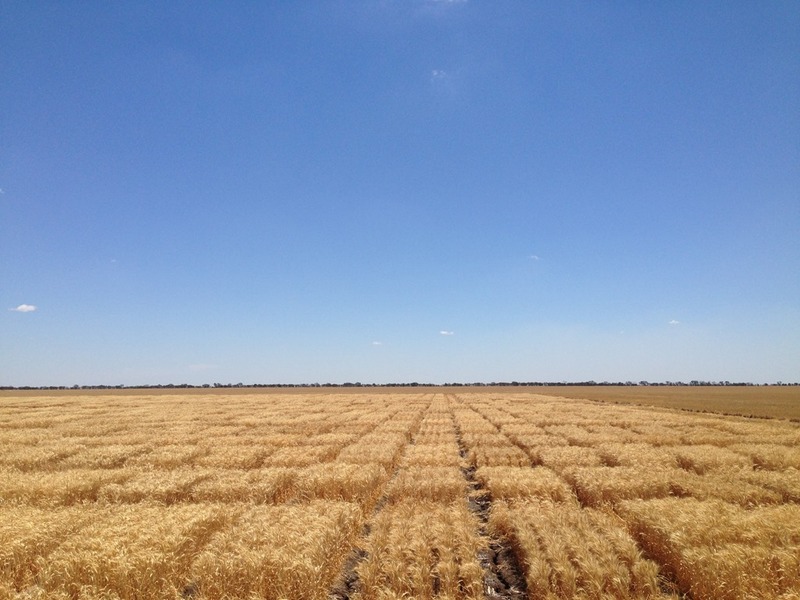 I’m looking to undertake my honours research project in 2016 in the grain production area, centred on crop and variety selection and management in the Narrabri area. 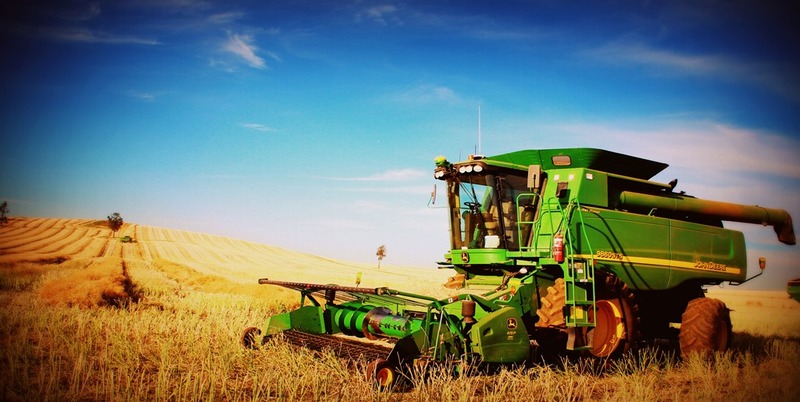 I’ve been working every summer holidays with Australian Grain Technologies (AGT) in Narrabri, helping harvest the trial crops, seed cleaning, and hand harvesting for 3 weeks in December 2014 at 40oc – that was a true experience. This work has truly highlighted the importance of plant breeding for select region specific traits that give farmers that little bit extra ability to grow more crop per hectare and per mega-litre, especially in these challenging climatic times. I have a passion for agriculture that has been fostered from birth. Being brought up in a region built on farming, it’s safe to say it’s in my blood. I am really looking forward to the challenges ahead of my honours project and what the real world holds. One thing I know for sure is that I’ll be back out in the bush soon, chasing the sun all day and growing food for the world – hopefully somewhere out around postcode 2390.